David Cameron and British conservatives can teach the Republican Party how to get back in power. It’s better to return to your roots than to steal ideas from liberals. 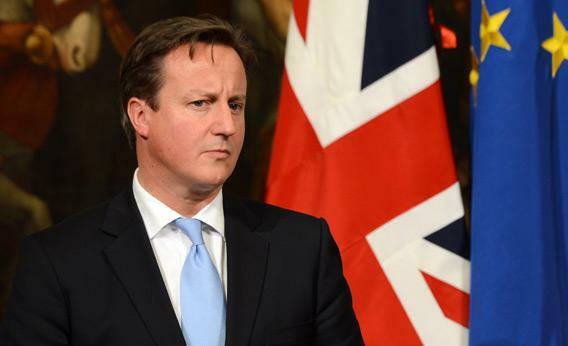 British Prime Minister David Cameron: a role model for the GOP? Photo by Andreas Solaro/AFP/Getty Images. She was right to find it amusing. But, if you step back, it’s also tragic. The Republican Party doesn’t need to steal Democrats’ language, let alone Democrats’ ideas. Like Dorothy in The Wizard of Oz, all the Republican leadership needs to do is click its collective heels together and start looking for answers much closer to home. If Republican leaders really want to appeal to Hispanic voters, for example, they don’t need clever Spanish-language marketing or better slogans. Nor do they need to steal political positions from across the aisle. Instead, they could resurrect the only sensible comprehensive immigration reform bill not passed into law—a bill largely written by Sen. John McCain, R-Ariz. The McCain-Kennedy Comprehensive Immigration Reform Act of 2007 was a grand compromise: It attempted to win support from immigrants’ rights groups, which tend to be on the left of the political spectrum, and business leaders who employ immigrants, who tend to be on the right. It would have created not only a sensible path to citizenship for illegal immigrants but also a “guest worker” status for people who want to work for short periods, and it would have enhanced border security. The Bush White House supported the bill, which was defeated largely by congressional Republicans. Maybe it’s also time for those same Republicans to take seriously something that several observers have noted recently: For millions of people on the lower end of the pay scale, health care expenditures take a bigger chunk of income than taxes. For Republicans, this problem ought not to come as a surprise, since their elected representatives have been discussing it for two decades. As Ezra Klein, among others, has beautifully documented, the Heritage Foundation came up with the idea of individual mandates in 1989; Sen. John Chafee, R-R.I., wrote a bill—with 19 Republican co-sponsors—proposing comprehensive health care reform in 1993. In the mid-2000s, Sen. John Breaux, R-La., told me he reckoned that bipartisan agreement on the basic elements of health care reform already existed in the Senate: All that was needed, he told me, was the political willpower to make it happen. The conservative movement is a broad church, and its worshipers even include a few sympathetic foreigners. Republicans could certainly do worse than to consult their counterparts across the Atlantic. The British Conservative Party spent 12 years out of office after the 1997 elections that brought the Labour Party and Tony Blair to power. After two attempts to win by running well to the right of Blair, David Cameron led a group of Tory “modernizers” into power by, among other things, embracing “conservative” notions of conservation and budgetary austerity—and by deciding that the state should have no role in dictating private morality: Intolerance, one once told me, is “unconservative.” One Tory minister, Iain Duncan-Smith, spent his years in the political wilderness creating a think tank, the Centre for Social Justice, dedicated to the study of long-term poverty and welfare reform. He’s now in a position to put some of its proposals into practice. So is his colleague Michael Gove, another Tory modernizer, who spent his years out of power thinking about education and is now hard at work reforming British schools.